We live in the age where you can find virtually anything on that beautiful and useful place called The Internet. No matter where you’re from, how old you are, or what is it that you require, stepping into the cyberspace almost guarantees that you’ll find what you’re looking for. This is especially shown in the online dating department, where even individuals who are over 50 years of age can find a potentially romantic connection simply by checking into online dating sites like Dating For Seniors. We always love when a dating service keeps everything simple, which is exactly what Dating For Seniors does. As soon as you arrive on the front page of the site, you’ll be offered to join – and this doesn’t take more than a few clicks! “No fake profiles, no spam, just real life people looking for partners online.” The message is clear and we can’t stress enough how important this is for an online dating site, especially for one that focuses on seniors. Find That Special Someone – Click Here To Create a Free Profile! It doesn’t get more simplistic than what Dating For Seniors has got going on. There are not too many options and there’s not much text in its design, which is actually quite smart. The buttons are distributed perfectly to decrease confusion and distractions to a minimum, even for those who are not so computer-savvy. Needless to say, this is seemingly a perfect dating site for seniors, since it makes sure everything is easy to find and clearly visible. The contrast in the color scheme adds to functionality, as well. If you didn’t notice this on the front page of Dating For Seniors, we’ll point it out: this is a free dating site! That’s right – no fee is required to join this awesome senior community, which means every one of you single people out there should be quick to join. As a free user, you can create a profile, search for other members, send flirts and messages. However, to truly upgrade your chances of finding love on Dating For Seniors, you can boost your account to a Premium Membership status. This clears the path to many more cool features, such as live chat, seeing who looked at your own profile, checking out the Who’s Online section of the website, access to an advanced search tool, and many more. We always praise online dating sites that offer their services on a local level, because this is usually more efficient. 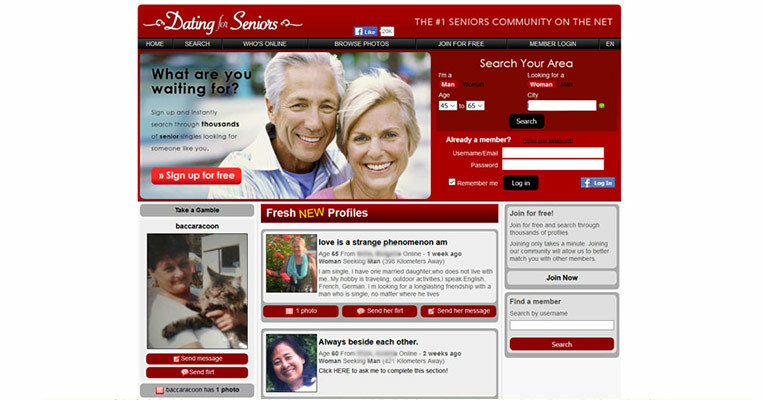 However, hosting a vast number of users within its community like Dating For Seniors has its own benefits as well. Here’s why: There are seemingly thousands upon thousands of senior members on this dating site, no matter what area you’re searching in. This means that you’ll be able to find a potential match for a romance or friendship in nearly every country in the world. Neat, isn’t it? 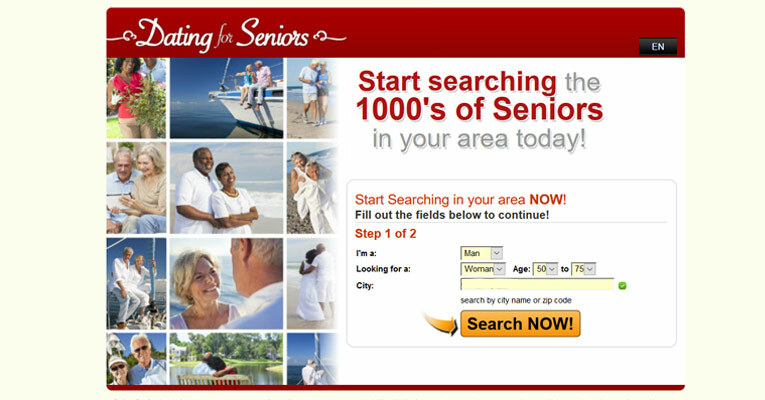 Unfortunately, we often encounter senior dating sites that charge too much for their services, yet offer too little. Luckily for you, Dating For Seniors isn’t one of them, as we feel that even a free member has a good chance of finding love on this amazing dating site, while the Premium fee is likely too low for the amount of benefits it provides.